I cringe every time someone suggests stocking up on cheap plastic junk to keep kids occupied on the plane. Quite frankly, I’d much rather give my kids 4000 organic jelly beans then spend any money on little plastic toys that will end up tossed by the end of the plane ride. So I’ve come up with a few ways to keep them firmly in their seats, all of which do not require you buying stock in bunch of plastic nonsense. Okay, so before you all yell at me, keep in mind that there are fantastic healthful snacks and treats that you can use to help keep your kids seated particularly during taxi, take-off, descent, and landing (the four times on the ride where they are required to be seated). This doesn’t mean you let the kids chomp away on fruit snacks and organic lollipops for the whole ride, but they do work in a pinch, particularly if your kids aren’t used to getting such things on a regular basis. We make sure to buy natural, organic sweet snacks, and pack a toothbrush. In fact, brushing teeth on a plane is quite an exciting activity! Once you’re past the point of being required to sit, you can pull out your organic juice boxes, carrot sticks, and pretzel rods. And hey, if those work in keeping your kids seated, than more power to you. Perhaps this is the obvious choice, but if you just bring the same old book from home, often times that won’t cut it. If you’re a good library patron, you can check out a few new books before you leave and surprise your kids with new stories on the plane. Or visit your local discount store and pick up a couple of board books. My kids love the pop-up books that require a bit more than just sitting and listening. Whatever you do, don’t buy the books with sounds. You’ll make instant enemies with your seat mates. In our house, we rotate toys on a regular basis, at which point the kids totally forget that we have certain things and act like it’s Christmas Day when we pull new ones out. Use this to your advantage and pack a few of their old toys (basically ones they haven’t seen a long time). They probably won’t even remember that they owned them. Don’t throw stones at me just yet. Downloading music, movies and even video games to your iPod or iPhone, or bringing along a Nintendo DS or something like that is a great idea. Since my kids don’t get the luxury of watching movies or playing video games on a daily basis, it’s a very extra special treat for them, reserved for very extra special occasions. 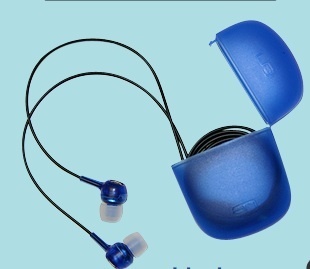 Make sure to pack headphones; they even make special safe ear phones for kids! I did this the last time I flew alone with the kids and it was a big hit. Grab a paper bag or zipper pouch (that can double as holder of dirty diapers and wet clothes) and pack it full of fun things from around the house. We’re talking paper clips, mini flashlights, old keys, old cell phones – whatever small things you can think of that won’t get you stopped at security. Then have them reach in, grab something, and tell you what it is just based on feeling it. This is obviously more fun with older kids, but what I found is the younger kids who aren’t familiar with the items have fun trying to figure out how to use them. And if worse comes to worse, slip them a Hyland’s Calms Forte and hope they fall asleep. So spill it. What have you used to effectively occupy your kids on the plane? We are planning a 17 hour flight with all FIVE kids (I know, someone just shoot me). My husband is more worried about the other passengers in business class than he is about the kids. 🙂 Typical. We will also take along tea bags that induce sleepiness (and we will fly overnight). I don’t like plastic toys either. When my daughter was little I cut pieces of felt and yarn and let her make pictures on sandpaper.